Selling a home in Rock Hill, Fort Mill or Tega Cay? To ensure that we understand your situation; we ask a few questions. Your answers provide essential information we need to effectively market your home. We take a home tour, and you will point out features as if we were a potential buyer. Future buyers try to envision themselves in your home. Knowing unique things about your home helps to paint a visual in a buyer's mind. We document the things you love about your home for inclusion in marketing materials. Homes are unique, and all have positive and negative features. We talk about key reasons home sell, and discuss the primary reasons they do not. Addressing as many negatives as possible before a home is put on the market is an essential step in establishing value. We talk to you about the specific plans for marketing your home and help you understand the benefits of each. The right materials are key to appealing to buyers who might be interested in your home. We design brochures for your yard that gives potential buyers an opportunity to learn about your home. We place Home Books in the home to address questions buyers might have and to help them recall key features of your home: What are the property taxes? When was the roof built? Is the home under termite bond? What are utility costs? Has the seller done upgrades? Our Home Book presents a professional overview, and it is a valuable sales tools. Selling a home is a major legal and financial transaction-one that is not done often. Homes in the Piedmont and Allen Tate Realtors provide proprietary documents that are necessary to protect you. Standard real estate forms can be complex, and time is needed to complete each one. Our discussion includes detailing the selling process from listing to closing and ensuring that all forms are properly completed. The sales price of the home is important, but it represents only a single component of the total picture. We provide a Seller Net Estimate based on the sales price to approximate net proceeds at closing. Our association with Allen Tate gives you a number of added advantages as a seller. The Allen Tate Home Warranty is one of the best home warranty programs available. For $400 to $500, the seller can provide renewable coverage for the buyer for one year after closing. This incredible marketing tool gives buyers a level of comfort in that they have protection from major home repair expense. Warranties are also helpful when a resale home competes with new construction. The most important feature to the seller is that the warranty also covers the seller from the listing date until closing - at no additional cost. Allen Tate Technology supports buyers and sellers. The Allen Tate website is the most frequently visited real estate site in the Carolinas. The retriever feature gives buyers control and it ensures that listings are mailed to potential buyers. Allen Tate relocation's partners are the Leading Real Estate Companies of the world making your home more visible to persons who transfer to the area. An Appointment Center is used to make scheduling appointments for your home easy for agents and convenient for you. It is always available, has customer service personnel to schedule appointments, and to contact you. Your showing instructions are used to provide the showing agent with any details. With Elaine's corporate background as an Information Technology executive, we know the importance of the internet in today's marketplace. World Wide Web marketing is the most effective marketing. Over 80% of buyers begin their search for a home on the internet. To ensure your home reaches buyers, we market on the most visited and used sites-more than 50! In total over 6,000 sites! Your home should be listed in both York County and Charlotte MLS systems, although most York county agents belong only to the local board. Listing in Charlotte assures that the home has MAXIMUM exposure. 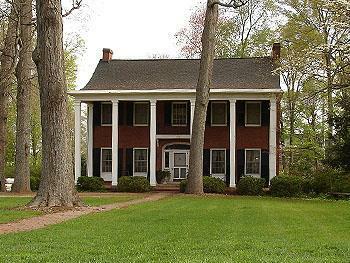 As licensed realtors in both North and South Carolina, we place all listings in the York County and the Charlotte Metropolitan Multiple Listing Services. The area MLS systems are used by close to 5000 realtors to locate properties for perspective buyers. Print media is still an important component in any marketing strategy. We have carefully ads for maximum exposure. Home Materials are professional and provide essential information to anyone who views your home. Pictorial and VIRTUAL tours are provided for every home we list. Buyers and agents are able to see interior and exteriors shots, seasonal photographs, feature information and neighborhood shots. Of equal importance, your home is presented in detail to other agents. Your home will be featured in our sales meeting allowing agents in the office to preview your listing. This 'home tour' is an effective way to let agents know how special your home is and what features make it unique. Showing Appointment Centers are used to make scheduling appointments for your home easy for agents and convenient for you. They are always available and have customer service personnel to schedule appointments, and to contact you. Your showing instructions are used to provide the showing agent with any details. Homes in the Piedmont emphasize state of the art technology. Speed, convenience and clarity when processing information are keys to a successful sale. We utilize a number of technologies to ensure that we effectively communicate with all parties to a transaction. We utilize email, phone and voice-mail. After each showing, we use the tools available to gain feedback. Our job is to keep you informed of market changes or to answer your questions. Pricing your home correctly is essential to its sale. We prefer to discuss price, condition, and marketing during the listing process. Our relationship is important, and the wrong price can cause your home to stay on the market. Expired listings are unfortunate and disappointing.